Can I join Air Force after passing 12th in medical stream? How can I join Air Force after passing 12th in medical stream? How can I join Indian Air Force after passing 12th from non medical? Can I join Indian Air Force after passing 12th in medical stream? How can I join Indian Airforce after passing 12th in PCM stream and BSc Biotech(Hons)? How can I join Air Force after completing 12th in Arts stream with mathematics? 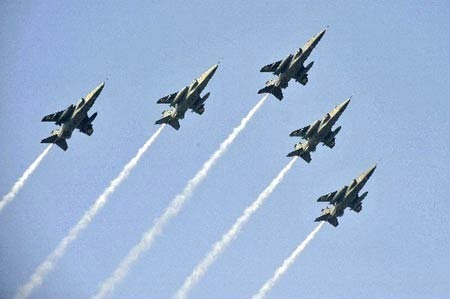 Best Air Force college in India? 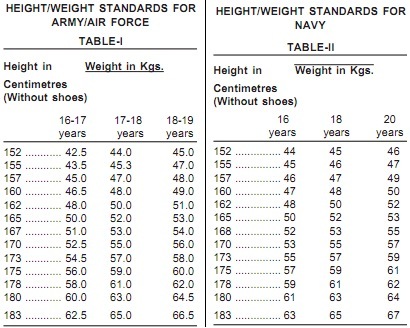 Is Air Force not suitable for girls? How to join Air Force after completion of 12th class with Non Medical stream? How to join defence after passing 12th? Can I join Army, Air Force and Navy after completion of 12th Class in Commerce stream? How to join Air Force after doing 12th in medical stream? Date of Group Y exam form sale? Re: Can I join Air Force after passing 12th in medical stream? Yes, you can join Indian Air Force through NDA after 12th if you have Physics, Chemistry and Mathematics. NDA- NATIONAL DEFENCE ACADEMY exam conducted by UPSC twicw every year as NDA-I and NDA-II for entry in to Indian Army, Navy and Air Force wings of NDA. You can join Indian Air Force of NDA if you are an unmarried Indian male within the age of 16.5 to 19 years of age having either appeared for 12th final exam or passed with Physics, Chemistry and Mathematics. The registration process of NDA-I is going on and the last date of submission of application form is 30.01.2012 which shall only be done through on line followed by exam on 15.04.2012. After +2 science you can apply for NDA exam , for more good ost in Indian army you have to study more like graduate. i m a student of bsc biotechlogy.....is there any jabs for me in nda???????? Well dear as you have passed 12th from medical stream so you can not join indian airforce as to join indian airforce through nda you should have passed 12th with mathematics and physics. <>you must be a citizen of india. <>you should have passed 12th from any recognised board for indian army any stream but for navy and airforce from mathematics and physics. <>your age should be between 16.5 to 19 years. A candidate must have completed their 12th Science from Recognized board. candidate must have a citizenship of INDIA..
To join air force after 12th NDA is the best opportunity for candidate. CDS Examination will held two times a year by The Union Public Service commission. Degree from any Disciplined recognized University. Sorry to say but you cannot join the Indian Air Force if you have passed 12th with Medical Stream. This is because if you want to join the Indian Air Force after passing 12th board exam , then you can do this only through cracking the NDA Exam. The NDA Exam is conducted by the Union Public Service Commission every year twice in the month of April and August. The Minimum educational qualification required to join Indian Navy and Indian Air Force is you must have passed 12th with PCM from any recognized board. Whereas , the Minimum Educational Qualification required to Join Indian Army is you must have passed 12th in any stream from any recognized board. So , As you have passed 12th with Medical Stream , then you are not eligible to apply for Indian Navy and Indian Air Force through the NDA Examination but you can apply for the Indian Army. * The candidate`s age must lie in between 16.5-19 years. * There is no relaxation given to candidates in upper age. * The candidate must be an unmarried male having Indian Citizenship. * Girl candidates are not eligible to sit for the NDA Exam. No, you cannot join Air Force after passing 12th in medical stream. You can join Air Force through NDA examination, which is conducted by UPSC(Union Public Service Commission) every year. * Completion of 12th with PCM from any accredited board. * Final year contenders are also eligible. * Age limit:- 16.5-19 yrs. * Age relaxation:- Not provided. * Marital status:- Unmarried or single. SIR I HAVE PASSED 12 D.PHARMA. I WANT TO KNOW THAT IF THERE IS ANY 2 YEAR OR 3 YEARS COUSE SO THAT I GIVE FIRST AID TREATMENT TO MY CETIZENS LEGALLY.i shall not clear the medical entrance exam from last 2 years. you can not apply after 12th because there is only unmarried male candidate are allowed to join Indian army after 12th but you can join after your graduation. after your graduation you can apply for the CDS. -- minimum qualification required is graduation. -- age should be in between 19 to 25 years. -- candidate should be unmarried. -- minimum height required for girl candidate is 152cm. -- candidate should be the citizen of India. How to join Air force? How to join IAF in the flying Branch after Graduation?